“Prayer with devotion is a wonderful means of opening oneself to the freely flowing blessings of God, a necessary link of man’s life to the Infinite Source of all benefaction. But it takes a long time for prayer to be effective when the mind is outwardly roaming. That is why one hour of Kriya Yoga meditation can bestow more effect than twenty-four hours of ordinary prayer. 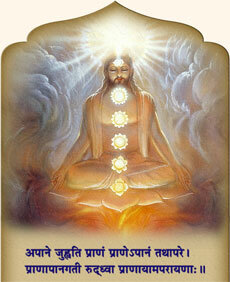 “Kriya Yoga is the highest method of God contact. In my own search for God I travelled all over India, and heard wisdom from the lips of a number of her greatest masters. I can therefore vouch for the fact that in Yogoda Satsanga [Self-Realization] teachings are the highest truths and scientific techniques given to mankind by God and the Great Ones. 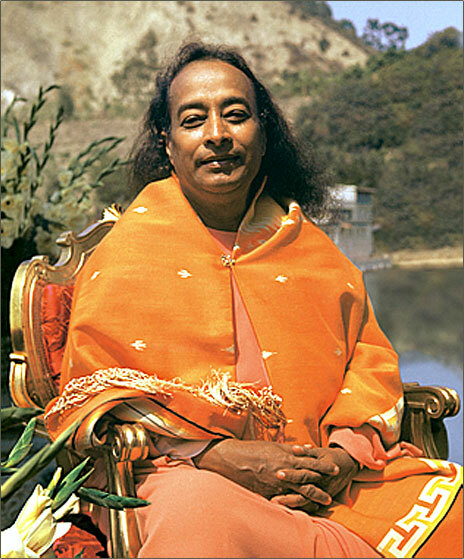 “The aftereffects of Kriya bring with them the utmost peace and bliss. The joy that comes with Kriya is greater than the joys of all pleasurable physical sensations put together. ‘Unattracted to the sensory world, the yogi experiences the ever new joy inherent in the Self. 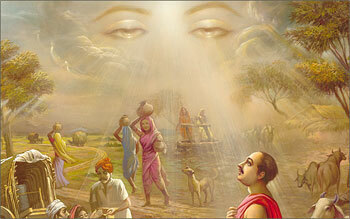 Engaged in divine union of the soul with Spirit, he attains bliss indestructible’ (Bhagavad Gita V:21). From that joy experienced in meditation I receive the rest of a thousand sleeps. Sleep becomes virtually unnecessary to the advanced Kriya Yogi. “When by Kriya Yoga the devotee enters samadhi, wherein his eyes, breath, and heart are quieted, another world comes into view. Breath, sound, and movement of the eyes belong to this world. But the yogi who has control of the breath may enter the heavenly astral and causal worlds and commune there with God’s saints, or enter cosmic consciousness and commune with God. The yogi is not interested in anything else. “Each of your habits creates a specific ‘groove,’ or pathway, in the brain. These patterns make you behave in a certain way, often against your wish. Your life follows those grooves that you yourself have created in the brain. In that sense you are not a free person; you are more or less a victim of the habits you have formed. Depending on how set those patterns are, to that degree you are a puppet. But you can neutralize the dictates of those bad habits. How? By creating brain patterns of opposite good habits. And you can completely erase the grooves of bad habits by meditation. There is no other way. However, you can’t cultivate good habits without good company and good environment. And you can’t free yourself from bad habits without good company and meditation….